I have worked in professional and elite sport for 20 years. As a former professional footballer I bring personal experience of competition, failure, injury and success – to match a unique clinical skill set. As a clinician I work with leading names in world sport medicine from the Fortius Clinic and London Bridge Hospital to provide care for elite British and European athletes and sports teams as well as recreationally active and inactive men and women in my Mayfair Clinic. I use soft tissue treatments that are innovative and highly successful to assess and manage soft tissue injuries and optimise athletic performance. The treatments are often used as part of post-surgical recovery programs. 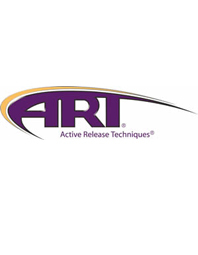 A.R.T. uses motion to locate and to break up scar tissue and adhesions that can form due to direct injury or repetitive movement over time. M.M.R. identifies lines of tissue tension in a 3D way and normalizes the tissue mechanics alleviating the cause of soft tissue pain. The Fascial Abrasion Technique uses a specially designed tool to treat areas of fascial tension to improve quality of movement and to treat muscle and fascia injuries. The F.I.N. approach integrates a variety of dry needling techniques during a single session to maximise recovery from soft tissue pain. Kinesiology taping is used to correct muscle function and improve motor control. It can help reduce pain and assist in recovery after treatment. To make an appointment to be seen at Malone Medical Chambers please call 07717 352083.